A general view of Xiong’an New District in Hebei province, April 30, 2017. By Liu Qin, a researcher at chinadialogue. This article was first published by chinadialogue. Speaking to newspaper Southern Weekly on April 2, Yang Kaizhong, a professor at Peking University and director of the university’s Jing-Jin-Ji Coordinated Development Joint Innovation Center, declared Xiong’an “an auxiliary capital,” by which he meant a second city to accommodate the overspill of Beijing’s rising population. Prior to this announcement, in July 2015, Beijing decided to move its municipal administration to Tongzhou on the border with neighboring Hebei province in another move to reduce the population pressure on the capital. 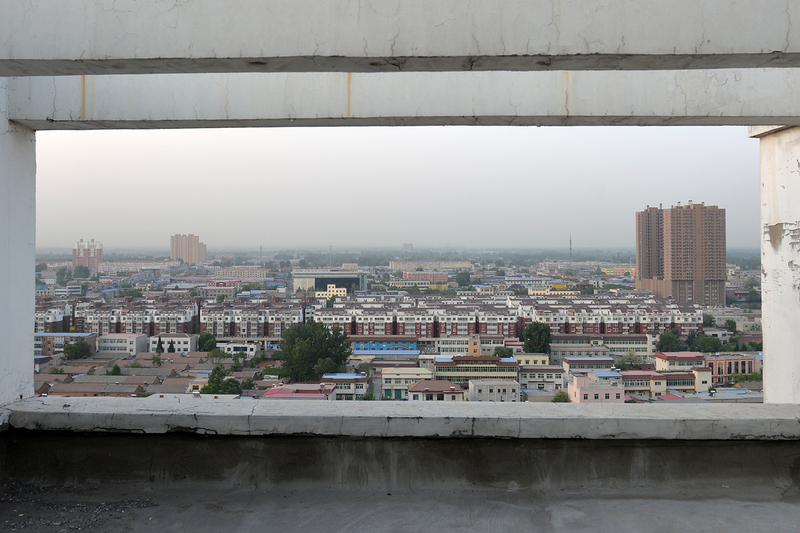 There are hopes that by developing the auxiliary administrative centers of Tongzhou and Xiong’an, the Beijing authorities will stem the city’s much-criticized outward sprawl. While much of the country’s resources are redirected to the capital, the city is struggling to support a population of 21 million. Beijing is saturated, its streets congested, its air polluted, and its dwindling water supply necessitating large transfers pumped up from the south. But the city’s predicament comes as no surprise. The current situation was predicted back in 1950 by architect Liang Sicheng and urban planning expert Chen Zhanxiang. Liang Sicheng was the founder of Tsinghua University’s School of Architecture. According to Xinhua, Liang became known for his efforts to save historical buildings in Kyoto and Nara during the Second World War. He would mark their positions on maps provided to the Allied forces so that bombers could avoid those locations. Later, when the Chinese Communists and the Kuomintang were fighting in Beijing (then Beiping) he advised Zhou Enlai, the first Premier of the People’s Republic of China, which districts to avoid shelling. Liang Congjie, his son, would go on to found Friends of Nature, China’s first environmental group. Chen Zhanxiang was a doctoral student at University College London but he cut short his studies to return to China. Chen’s supervisor, Sir Leslie Patrick Abercrombie, created the post-war reconstruction plan for London, known as The Greater London Plan. In 1950, Liang and Chen submitted their proposal to redraw the map of Beijing’s government district. Chen’s daughter, Chen Yuqing, explains in a memoir that the proposal consisted of two main elements. The old city center would be retained as a historic, cultural zone, with the government’s administrative center rebuilt to the west of the city. Several self-contained centers would be built to limit traffic congestion between districts. And so the new administrative center was built on top of the old city. The old walls and archways were demolished to make way for new government buildings and roads. “Each city gate knocked down is like [losing] a chunk of flesh,” remarked Liang Sicheng at the time. He warned Beijing’s city bosses that in 50 years his predictions about the impracticality of their design would come to pass. Rather than protect Beijing’s historical center, city planners adopted a Soviet model of urban design. According to City Memories, the prevailing socialist view was that capitals required an industrial heart and that industry must to be expanded for the working class to become the most populous sector of society. Xu Pingfang, an archaeologist and former head of the Chinese Academy of Social Science’s Institute of Archaeology, said in a television interview that Chairman Mao had wanted to see a stack of factory chimneys when he watched the parades from atop the Gate of Heavenly Peace. And so Beijing set out to become another Moscow, following a Soviet model of industrial development. Zhao Hong, head of the Beijing Academy of Social Sciences Institute of Economics, explains that by the 1980s, “Beijing ranked second in China for percentage of GDP accounted for by heavy industry.” China classifies industry into 130 different sectors, and Beijing was home to 120 of them. At one point the city had 14,000 factory chimneys, a rare sight in any national capital. At the turn of the millennium, Beijing started to deindustrialize. According to The New York Times, heavy industry began relocating outside the capital while the development of a less-polluting service sector was encouraged. The run-up to the Beijing Olympics in 2008 marked a turning point when 200 chemical, coking, and steel firms were relocated beyond the capital’s borders. In 2011, steel giant Shougang moved a major plant 225 kilometers southeast. But the legacy of heavy industry remains, with air pollution one of the city’s biggest challenges. In March 2017, the city shut its last coal-fired power plant, and Beijing now imports 70 percent of its power. By 2018, coal is expected to account for less than 10 percent of its energy mix. Transportation is also a challenge. Beijing’s road network has expanded in a piecemeal fashion following a pattern of concentric circles, centered on Tiananmen Square. This has contributed to urban sprawl. The 6th Ring Road, completed in 2009, is 187 kilometers long. Traffic congestion has forced Beijing to restrict the number of cars by implementing a lottery system for new car purchases. Each year, less than 0.2 percent of applicants are successful. The city now has 18 subway lines, with 13 more under construction. And yet this is still inadequate to relieve the transportation pressures on a city that stretches more than 100 kilometers wide. The “auxiliary centers” proposed (in Tongzhou in 2015 and Xiong’an in 2017) are an echo of the Liang-Chen Proposal. If Beijing had adopted the proposal in the 1950s, it is possible that the cross-district congestion that plagues Beijing today might have been avoided. According to a Xinhua report, the first formal discussion at a central Party level to create a new district at Xiong’an took place on May 27, 2016. At that meeting of the Central Politburo, Xi Jinping emphasized that this would be a “historic change” for Beijing. It is hard to imagine what Beijing will look like when the Tongzhou and Xiong’an districts have been developed. Pan Jiahua, an urban planning expert and head of the Chinese Academy of Social Sciences Institute for Urban and Environmental Studies, says that Xiong’an could mean an end to Beijing’s outward sprawl. It appears, then, that the Liang-Chen Proposal may have been the right approach after all, only delivered 67 years too late.